This is the first of the Copplestone Castings Gangsters Mubaris has asked me to paint for his 1936 Savage Worlds Pulp game. He caused me some serious problems. Well its not fair to put the blame on him, as it wasn't really his fault. First the primer (Games Workshop) didn't work very well and the coverage wasn't too even and second the paint didn't attach to the primer base coat at all well and rubbed off on a couple of occasions and had to be repainted. The next problem was with the Tiny Worlds cobblestone resin base. I didn't wash it properly and the Imperial Primer (again Games Workshop) that I use on these bases wouldn't stick. I ended up having to put three or four coats on. That was entirely my fault though and no blame should be laid at Tiny World's door. While i'm having a go at Games Workshop I also have to say their 'Fine Detail' brushes have been giving me grief too. 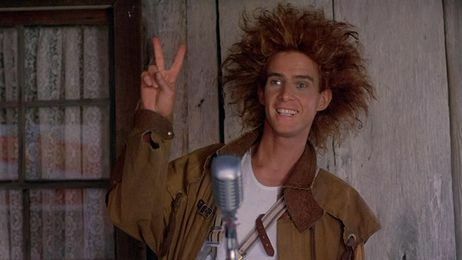 They consistently fail to hold a point and after a few uses tend to look like they were designed to look like Yahoo Serious' hairstyle. I bought some Army Painter brushes today to try out and so far they are much better. We'll see how well they last. Ideally I want to get Winsor & Newton Series 7 brushes but until I can get some the Army Painter ones will get a chance to prove their reliability. As you can guess i'm not very happy with Games Workshop products today. But I am happy with how this sinister looking Gangster turned out, I hope Mubaris is too. Move over Indiana Jones, there a new guy in town!